Print a hard copy of the content of the Committees page. 1. Click the Committees icon on the navigation menu on the left. 2. To include high-level detail of a specific committee click on the specific committee name in the grid. 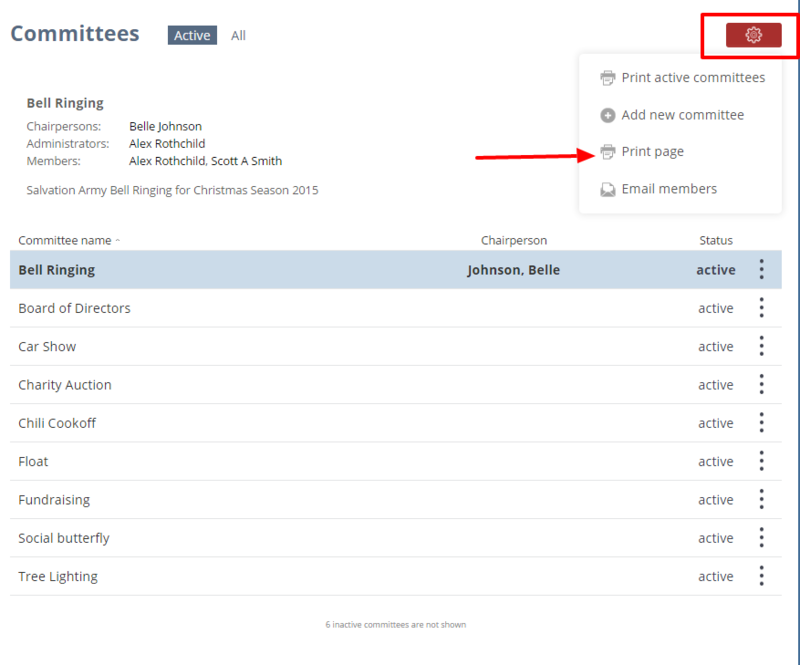 If no committee is selected, the page will print with the default committee that is shown at the top of the page. 3. Click the red Administartion icon and select the Print page option. 4. Click the Print button.